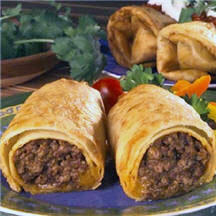 CooksRecipes has quality, kitchen-tested recipes for a variety of chimichangas that you can count on for successful deliciousness. >Once you've tried these homemade chimichangas you're expectations of these fried burritos will never be the same. 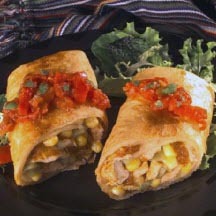 Loaded with vegetables and tender pieces of chicken, these chimichangas are sure to please the whole family. 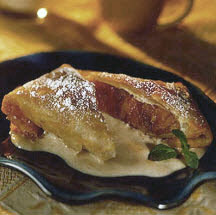 Fruit filled fried flour tortillas, drizzled with a cinnamon-custard sauce, makes a unique dessert.